Help make the Middletown Free Library a great place for teens & tweens! 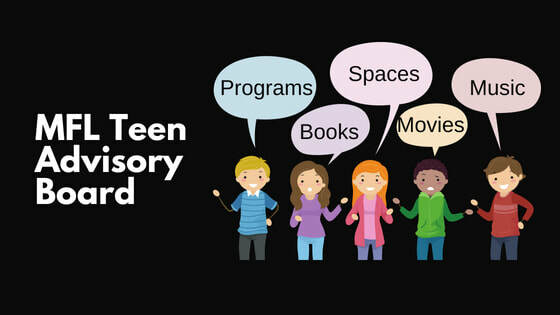 Join the Teen Advisory Board! Help plan programs, influence the materials the library carries and create a great space in the library for teens by teens. TAB is open to everyone in Grades 6-12 (11-18 years old). Subscribe to keep up with TAB Meetings & Events! You will need your library card to access resources in the Power Teens Library from home. The Teen Book Finder from the Young Adult Library Services Association (YALSA) is a free app to help teens, parents, librarians and library staff, educators, and anyone who loves YA literature access the past three years' of YALSA's awards and lists. 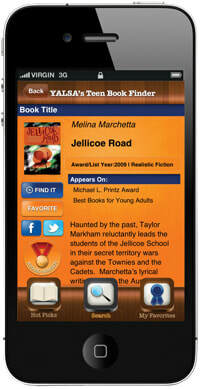 Not on a mobile device, visit the Teen Book Finder website to try it out and find your next great read.